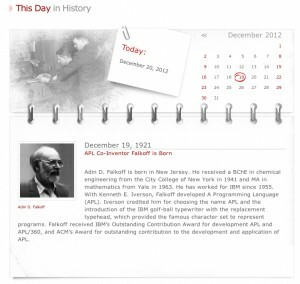 Incidentally, Mr. Adin Falkoff’s entry in the CHM’s This Day in History was added a few years ago. It is extra fun to see the legendary collaborators Falkoff and Iverson recognized together with birthdays two days apart. My apologies for not posting this yesterday!